I’ve taken a few hundred depositions in my legal career, and certainly that includes my share of claims adjusters. In Michigan, we file No-Fault lawsuits and the reasonableness – or as is too often the case – the unreasonableness – of an insurance company’s claims adjuster’s cut-off determination is always an issue that is litigated. When this happens, the insurance adjuster is the biggest witness for both the Plaintiff and the Defendant in a lawsuit to recover for the insurance company’s failure to pay outstanding No-Fault PIP benefits. What can feel like one of the worst things is when adjusters do not come prepared for their discovery depositions. How can you avoid this? You avoid it by having your adjuster depositions taken via video. Insurance adjusters do not want to give you information. They are coached by their attorneys to hide, to frustrate, to avoid giving you answers. They do not want to tell you how they handled their insured’s claim. They do not want to tell you if they screwed up and did not pay a pre-termination bill. They want to hide as long as possible. Claims adjusters, especially experienced adjusters, also do a good job of hiding behind the No-Fault PIP file. These files – especially on serious injury cases – are voluminous. 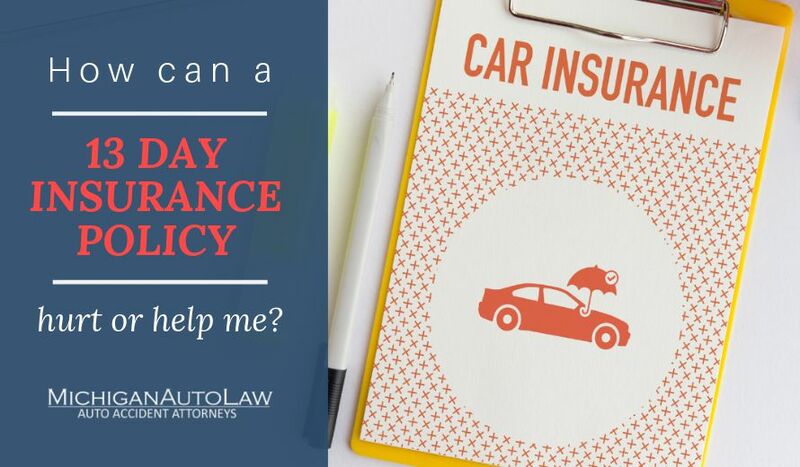 When you ask insurance adjusters a question, they simply reiterate that they need to refer back to the PIP file in hopes that you will grow impatient and move on, rather than wait for them to find the answer to your question. This is how adjusters avoid answering legitimate questions. However, when you have the depositions done via video, adjusters cannot pull these same tricks. Gather all of the information possible in regard to the adjuster’s handling of the claim file. Find out each and every bill and benefit received, when it was received, whether it was paid, and why it was not paid. You can use this information not just in preparation for trial, but in preparation for case evaluation, facilitation, negotiations and motions. Set up the deposition by video..
Adjusters tend to come more prepared for video depositions, in part because they know that a jury may be watching them one day in court. And by court rule in many states, an insurance attorney will only get a reasonable amount of time to take a deposition. If the adjuster delays (say, looking through a file for 10-15 minutes to answer each question you ask), your time may be up. A judge will not grant a motion for continuation from a paper transcript that doesn’t show how long the witness took to answer each question. If the deposition is not done via video, you cannot really show a judge in a motion for continuation how much time the adjuster spent looking for information. 1. You get more accurate information and faster. A recent example of this occurred when, on a very complicated No-Fault PIP File, an insurance adjuster would not come prepared for the deposition and basically took 5-10 minutes reviewing the PIP file for each answer. It was obvious that the adjuster was doing this solely because she hoped that her delay tactics would cause annoyance and simply move past the issue. When not being videotaped, minimal information was given. However, when videotaped, the adjuster arrived prepared, did not need to refer to the PIP file, and more information was obtained in three hours via video than there was during seven hours of non-video deposition. When the Defendant then tried to cancel the deposition in the middle of the heart of the attendant care claim and filed a motion to prevent further questioning, the motion was denied and the judge specifically stated that it was obvious that more information was obtained during the video deposition than there was in the non-video deposition, so it should be done this way. Based upon Defendant’s wrongful termination of the deposition, the judge has also taken costs under advisement. 2. There are less speaking objections on videotape. In a deposition, you’re trying to gather as much information with the least amount of influence by the other attorney as possible. Unfortunately, attorneys now seem to ignore the fact that they are not supposed to make speaking objections, and have a tendency to make speaking objections where they basically explain how they want their adjuster to answer the question, and then the adjuster does it. This is not allowed under the court rules. However, attorneys seem to make much less of these speaking objections when their voice is actually heard and you can show a judge exactly how much improper coaching and objections occurred during the deposition with an actual voice. It is an effective tactic to ensure that you get the information you need with the least amount of resistance as possible. 3. A video dep shows the adjuster that the auto accident attorney is prepared to go to trial. When you have a PIP claim, you need an attorney who is going to be aggressive and show the adjuster you are preparing the case for trial – not preparing to settle. Most attorneys do not take video depositions of the adjuster because they are more expensive. These attorneys reserve video depositions for trial deps. By failing to take the adjuster’s deposition via video, you show them that you’re not preparing for trial, but going through the motions to settle later on. By taking the deposition via video, you show the adjuster exactly how prepared you are and let them know you will be using their face and voice throughout the litigation process. It is these types of aggressive tactics that benefits clients and win cases. A trial is not won based on the two weeks leading up to the conclusion. It is won by preparation from the beginning, including obtaining the most amount of information possible when you have the opportunity to do so. Video depositions are a great start.